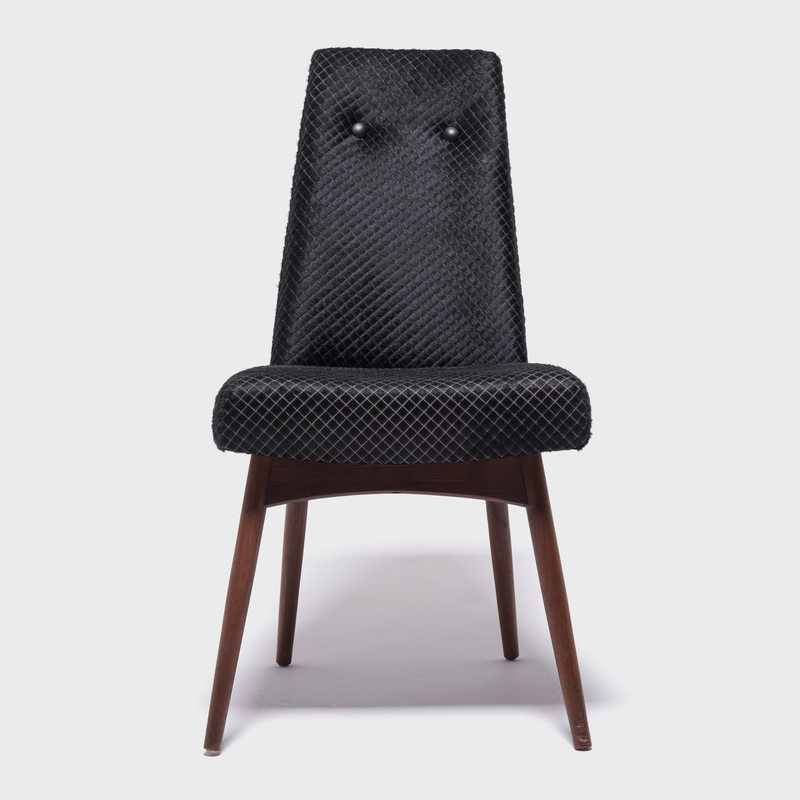 American designer Adrian Pearsall is renowned for his trademark “Atomic Age” look that made his furniture all the rage in the 1950s and 1960s, and a sought-after collectable today. 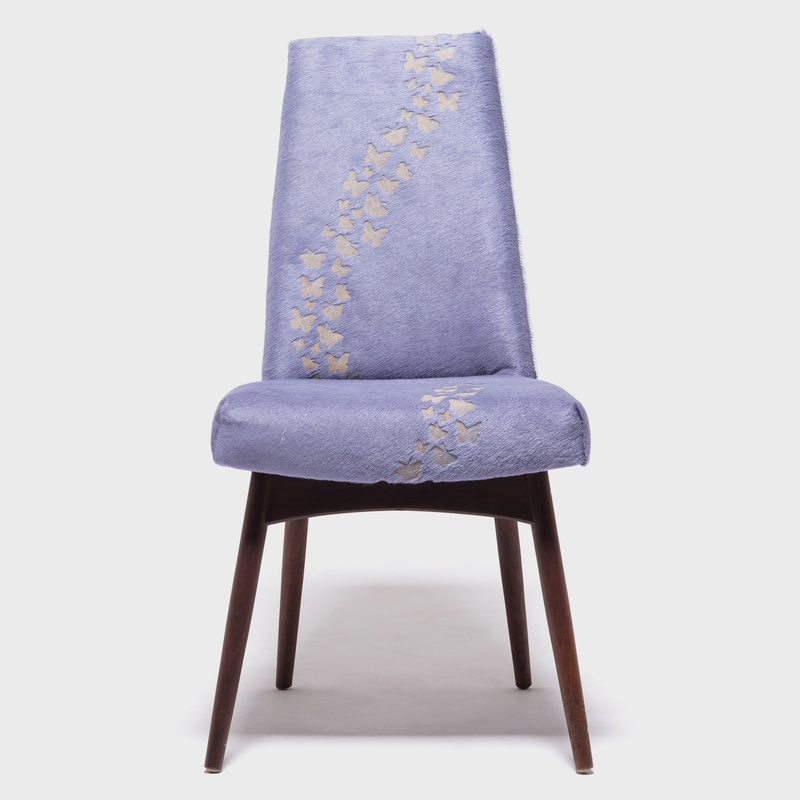 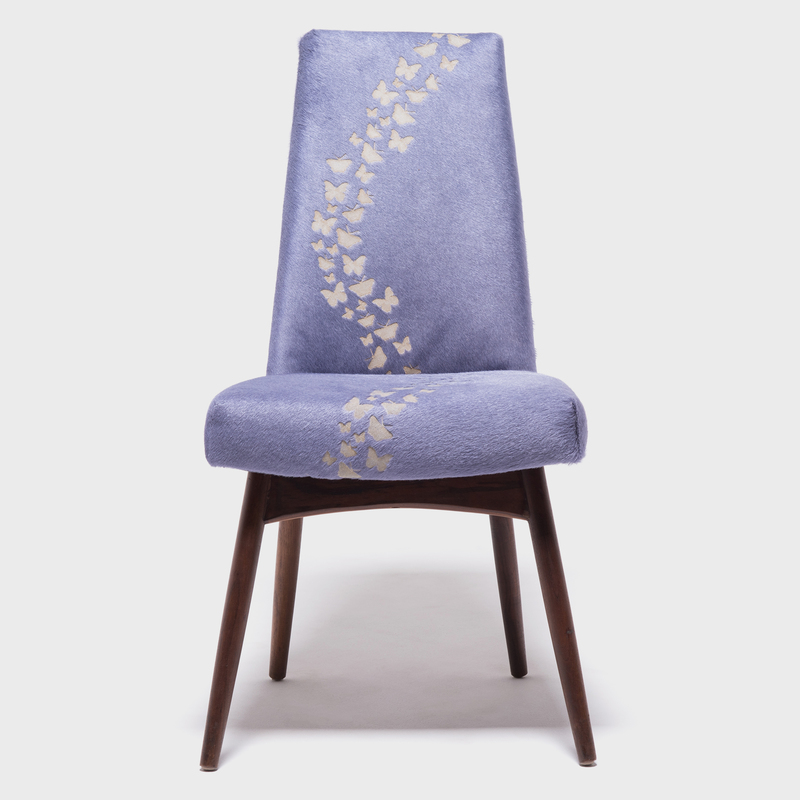 We took the chair in a new direction and upholstered it in striking lavender-colored hair on hide laser-cut with ribbon of swirling butterflies. 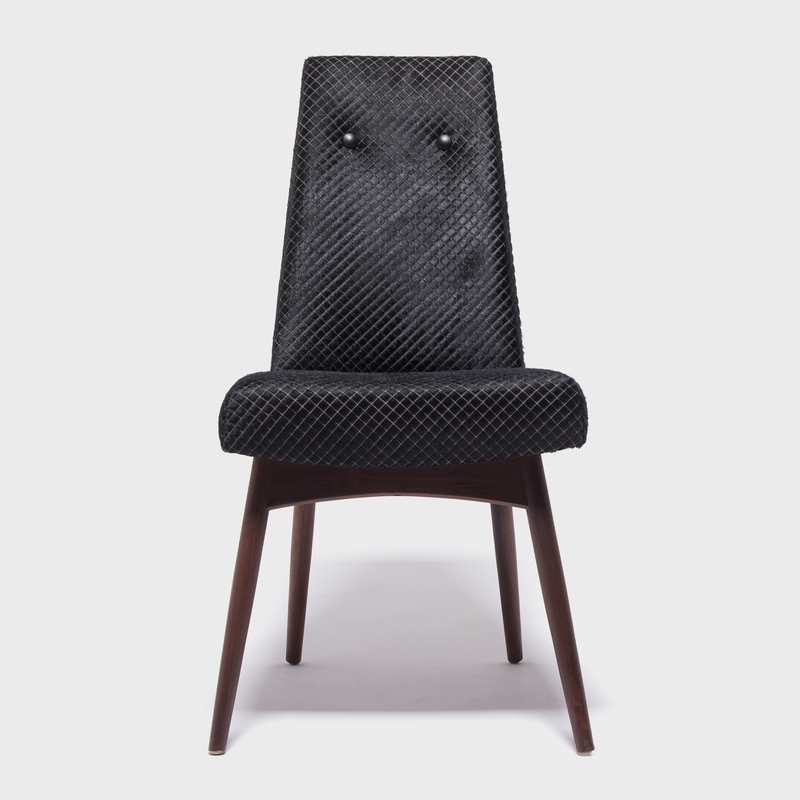 Designed with Pearsall’s iconic tall trapezoidal backs, this vintage chair has a beautiful skyscraper-like silhouette. 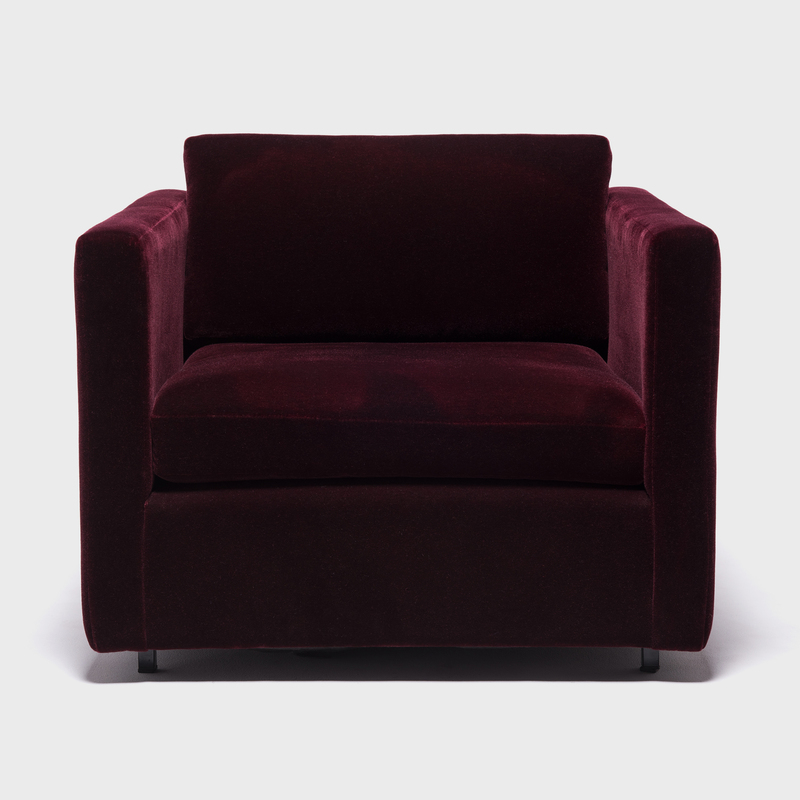 The simple classic form and luxurious upholstery sits as beautifully with antique-filled rooms decor as it does with modern décor.